Finding the right supplement to give you that edge to reach your health and performance goals can be overwhelming. With all of the choices available it can seem nearly impossible to chose the most complete supplement to include in your nutrition plan . 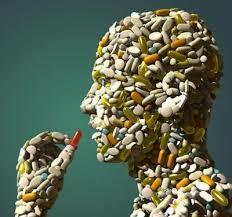 There are hundreds of companies that develop and sell supplements world wide, and in the United States did you know that there is no regulated testing method, or system of evaluation that reassures the consumer that the supplements that they are buying contain the ingredients listed on the packaging. Shocking right! Its like a game of russian roulette with a powder scoop. You need to know if there are any potentially harmful ingredients that may cause injury or banned substances that my lead to suspension and loss of playing time. Since the supplement industry is not regulated by a government agency like the FDA, anyone can create a supplement and sell it on the open market. Here are several resources to help guide you and give you feedback on the supplements you chose.